The House of Puzzles is a British designer and manufacturer of high quality jigsaw puzzles. Their jigsaws feature their own unique and varied puzzle pieces to add to your enjoyment of their puzzles. 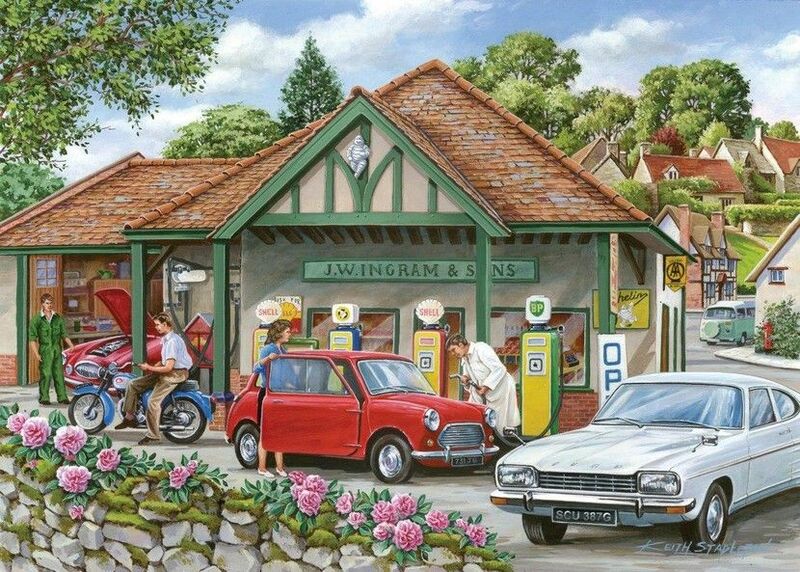 This fantastic puzzle is from the hugely popular 250XL piece range, which is suitable for all ages. The imaginative design will be sure to provide entertainment for all ages. The puzzle pieces in the 250XL range are twice the size of those in a standard 1000 piece jigsaw puzzle and are ideal for people with handling or sight difficulties. Once completed, the jigsaw has the same surface area as a standard 500 piece puzzle. Pieces are twice the size of a 1000 piece puzzle. These puzzles are well suited to people living with dementia and completing this beautiful House of Puzzles jigsaw is both mentally stimulating and enjoyable. Design and manufactured in the UK.